The purpose of the 13th International Conference on Computer and Information Science (SNPD 2012) held on August 8-10, 2012 in Kyoto, Japan was to bring together researchers and scientists, businessmen and entrepreneurs, teachers and students to discuss the numerous fields of computer science, and to share ideas and information in a meaningful way. Our conference officers selected the best 17 papers from those papers accepted for presentation at the conference in order to publish them in this volume. The papers were chosen based on review scores submitted by members of the program committee, and underwent further rounds of rigorous review. 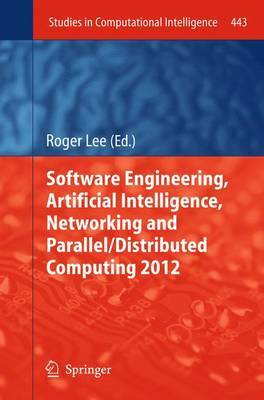 The conference organizers selected 17 outstanding papers from SNPD 2012, all of which you will find in this volume of Springer's Studies in Computational Intelligence.